I would like to thank all the people that came to the book signing and seminar at Border’s Bookstore in Portland Maine. I plan on having more seminars in the near future. I will make updates on the blog to when and where these events will take place. 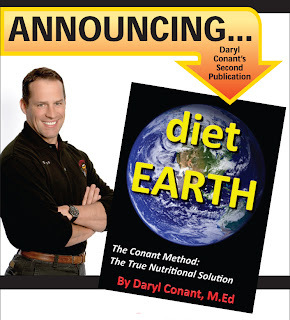 The sale of diet EARTH is going well it has been sold all over the world. My message of real nutrition and how food works in the body is getting out. Thank you all who have purchased it.